After 6 months of sporadic watching, I am finally done with the entire Gossip Girl repertoire. This is an embarrassing fact to admit for two reasons. One because it is Gossip Girl, every high school girl’s guilty pleasure. I am a 4th year university student. Two, the series ended over a year ago. 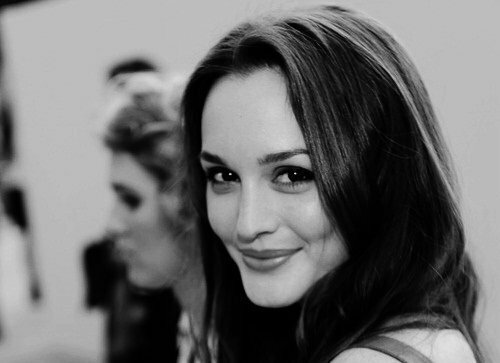 But of all the characters on Gossip Girl, I was primarily fascinated with Blair Waldorf. For the uninitiated (read: even more of a late adopter than I am) Blair is one of the main characters of GG. She’s portrayed as beautiful, intelligent but most of all incredibly conniving. And despite all her short comings (believe me in this particular television program every character has many gaping flaws), I have remained completely enthralled with the dichotomy of Blair’s two sides, the main inspiration for a post on the empowered woman. Empowerment to me means positive action. It is possessing talent and skills plus the drive and foresight to reign in success. By having two sides and thus a complete person, Blair to me seems capable of being an empowered woman. I will probably be pelted with all sorts of rotten unmentionables and profanities for being naive enough to call a teen drama character a whole person. But though Blair has shortcomings, but I believe this to only really be evident when she is unable to balance her two sides. In the series these two sides she refers to as her Grace Kelly and Grace Jones, two very different yet iconic personalities. The duality of her characteristics enables Blair to play either role to her advantage. She is both an intellectual and a seductress. She may be demure and polite or confident and defiant. Sociable yet occasionally completely awkward. Devoted to those she loves and ruthlessly terrorises those she hates. This is even depicted in her clothing, where modest yet fashionable dress sense too is juxtaposed by the Agent Provocateur she often wears underneath. Blair’s duality draws parallel’s with R L Stevenson’s Jekyll and Hyde, a tale on the internal conflict of one’s good side and evil side. Naturally every human character is conflict but within Blair her personalities tend to be more pronounced and more distinctly good or evil. What makes Blair out of all the female characters of Gossip Girl be so empowered is her admirable quality of ambition. Throughout every season and every episode, Blair is the one portrayed with the most drive to obtain whatever she wants at whatever the cost. Be it to remain at the top of the Constance-Billards hierarchy or to be an accomplished successor to her mother’s clothing empire, she is very rarely disheartened. I cannot pinpoint any particular scene but as a general consensus, anything moment where she is motivating herself like her very own cheerleader with a soliloquy. The more ridiculous the better. Naturally there is no article about Blair without a mention of Chuck, who is her kryptonite for a good three seasons. If anything, Chuck in and of himself should be enough to mitigate everything I’ve written above about Blair being a strong independent woman who don’t need no man. But love m’dears, love. Perhaps mentioning the L-word as being the greatest power of all is a bit too cheesy for an already unbecoming article about the character portrayal of a bratty trust fund child. But for the longest time, ambitious women like Blair have often been portrayed as homosexual or even asexual simply because society cannot fathom the empowered woman in love or a woman in love to be empowered This pre-dates trashy television, even Lady Macbeth and her famous ‘unsex me now’ soliloquy is able to show that in the media world, the antonym for ‘ambition’ is ‘feminine’. But Blair and Chuck’s romance are a middle finger to this old-fashioned construct showing that love is not a weakness, it is a strength . While Gossip Girl remains fiction depicted in hyperbolic reality, there is so much from Blair I think I should take on board for the year 2014. Ever since the clock turned January 1st I have felt nothing but determination to complete my goals. And now that my life is no longer shamelessly at the mercy of the final episodes of Gossip Girl, I am ready to put on my headband and go to war.